A European invasion, led by three from Sweden, takes over The Matinee October 5th edition. Some songs are perfect for the fast-approaching spooky holiday and others will just make you smile. Let’s get started with a song by one of the great indie bands of this century. 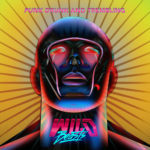 Just over a week ago, Wild Beasts made the astonishing announcement that they will be going their separate ways. The quartet were part of the first wave that revived indie music not just in the UK but overseas. They brought a sensuality to the industry that was largely absent, and their use of oft-kilter arrangements made their music feel fresh and vibrant. 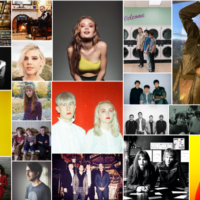 When they officially say goodbye in a few weeks, they will be remembered as innovators and for opening doors for bands like alt-J and Foals to emerge. 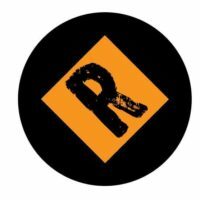 They’re not, however, quit finished, as they announced they’ll be sharing one last EP and embarking on a mini, farewell tour. 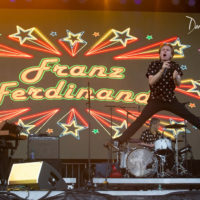 At the time of the announcement, they released the EP’s title track, “Punk Drunk & Trembling”, which sounds like a band that is just starting its career as oppose to ending it. 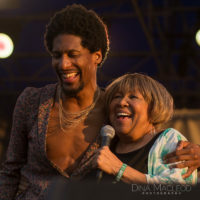 The band’s cool sensuality remains, but this time around they increase the intensity and infectious levels a bit more to deliver a groovy and engrossing number. The production work is stellar, and it is complemented by a superb drum line and the stark electric guitar. Front man Hayden Thorpe is also front and centre, as his unique falsetto calmly hovers over the instrumentation. His cryptic lyrics appear to focus on the current political climate. “You’ve got me punk drunk, trembling. I’m moving to the space you’re in. You’ve got me punk drunk, terrified. And miracles are bound to happen. Punk Drunk & Trembling arrives October 20th via Domino Recording Co. The 10″ vinyl is already sold out, so you’ll have to wait for the digital to drop in two weeks. Wild Beasts are Hayden Thorpe (guitar/vocals), Ben Little (guitar), Chris Talbot (percussion/vocals), and Tom Fleming (bass/vocals). Some of the best songs are those that feel like a great hug. They embrace you immediately and make you feel warm fuzzy inside. When its over, you’re left feeling great. This is exactly how Boys‘ new single will make you feel. Not to be mistaken with the English outfit of the same name, Boys is the project of Nora Karlsson. 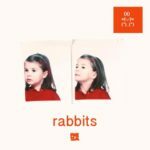 Instead of propulsive indie rock, she’s delivering shimmering indie pop in the mould of Alvvays, which is evident on “Rabbits”. The cool keys and percussion plus Karlsson’s sweet vocals welcome us into her world. While head noodling and body swaying ensues, the Stockholm-based musician reveals her uneasiness and anxiety even when she’s lying next to the one she loves. “Can’t you see that I like you?”, she asks. This honesty and vulnerability are what make this song more than just another enjoyable listen, but it’s an experience to which we can all relate. The single is part of a 7″ with fellow Swedish rockers Magic Potion, who shared “Rest Yr Skull” a month ago. Physical copies of the split single be released October 20th via PNKSLM Recordings. If you’re like us, it’s way too early to think about Christmas. Stores are littered with green and red decorations and gifts, and the odd store even sneaks in a holiday carol over the loud speakers. Yes, yesterday Seattle rockers Dude York released the first single from their forthcoming, holiday album. Fortunately, this is no ordinary jolly jingle. Instead, this is like National Lampoon’s Christmas Vacation, where the band’s focus is not on making snow angels, kissing under the mistletoe, or roasting chestnuts on the open fire. Instead, the holidays present an opportunity to tell an ex how he “is the worst” and how much he is hated. Or does Claire England give him a gift because “it’s the thought that counts”? If all holiday songs were like this, we would listen to a lot more of them. Speaking of which, screenwriter in Hollywood is likely listening to this song and drafting the script for a future movie. 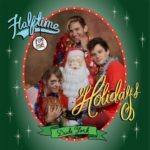 Dude York’s new album, Halftime for the Holidays, arrives on November 24th via Hardly Art. Pre-order the LP today over here. Dude York are Peter Richards (guitar/vocals), Claire England (bass/vocals), and Andrew Hall (drums). It’s been a little while since Department of Eagles have released an album. Nine years to be exact (we’re not counting the Archive 2003-06 compilation). Let’s hope they’ll be among the comeback bands in 2008. 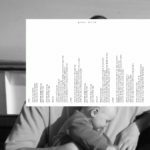 In the meantime, co-founder Fred Nicolaus has been busy with his new solo project, Golden Suits, under which he’s released one album and a couple of singles. Last week, he released his latest song, which is very un-Department of Eagles-like. 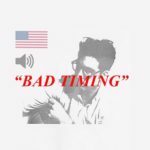 Despite its title and some of the lyrics, “Bad Timing” is an upbeat song that will leave you grinning for the entire day. The first notes from the song echo a Springsteen hit from the eighties (can you guess the song), but then it transforms into a ravishing indie-pop-rock tune. Like the great hits of the ’80s, you feel this song is about you. That it was written for you because you know exactly what Nicolaus means when he says, “You and I always had bad timing.” Yeah, for those of us approaching middle-age this song makes us remember (not so) fondly our naive choices made during our youth. At least we can smile about them thanks to Golden Suits. Next week is Friday the 13th, so now is an appropriate time to be sharing songs that are eerie if not terrifying. 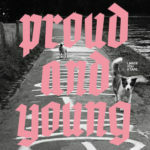 Newish Swiss band I Made A Tape For You‘s latest single, “Proud and Young”, fits under both categories. It’s not a vivid, grotesque song like the Saw movies, but rather it’s a psychological thriller in the mould of Seven. So dim the lights, grab the popcorn, and get engrossed by this tantalizing number. Self-described as a psych-synth-punk band, the four-piece have crafted a dark and hypnotic track. The song methodically inches along, which allows the synths, rhythms, and guitar reach sinister levels while front woman Sibill Urweider’s voice slowly achieves a Siouxsie Sioux piercing quality. Her lyrics, too, are frighteningly real, as she describes how she and others are gradually losing their identity and becoming shaped by external influences. “I’m immortal”, she callously says, as if she has become a vampire or some other creature of the night. This is the perfect song for next week or Halloween. Take your pick. The song is available via Blaublau Records. I Made A Tape For You are Sibil Urweider (vocals/synth), Niklaus Hostettler (guitar), Belinda Arestgui (bass), and Mirko Schwab (drums). Raise your hand (or just nod) if you remember the Handsome Furs, which comprised of former married couple Dan Boeckner (he of Wolf Parade, operators and Divine Fits) and Alexei Perry. For six years, the duo created dance-able and anthemic synth-rock songs that would equally fill clubs and arenas. They were awesome. No one has come along and filled the gap since their breakup in 2012. 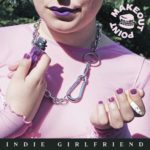 Boyfriend/girlfriend duo of Ben Thompson (vocals/guitar) and Meg Williams (vocals/keys), however, could change all that with their project Luxury Death. Their new single, “Diluted”, emanates with the infectious vibes of the former great Canadian group. From the groovy guitar line to the psych-infused keys, the song is immensely catchy and will have you bobbing and weaving with each beat. Dual harmonies don’t always work, but in this case they are executed to perfection. The combination gives the song the feeling that the many voices in our head are speaking to us and telling us to “look over over your shoulder”. What is exactly there is unclear, but that’s the point of the song – that we’re not always in control. Instead, we’re just diluted versions of what we should be, allowing others to dictate who we are. 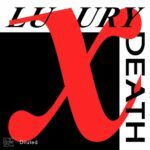 “Diluted” is the first song in Luxury Death’s new single series. A 52-page art zine, Digital Ceremony, will be included with every purchase. The next single, “Kids of the Club”, is expected next week. All songs will be available on PNKSLM Recordings. The opening bass line immediately catches your attention, as it is reminiscent of The Cure and, to a lesser degree, The Smiths. It sets the throbbing tones for this introspective song, where co-front woman Alma Broman describes her struggles with acceptance and being what others want her to be. As her tale gets more emotional, the music gets more intense, as the dissonant guitar, the trickling percussion, and the shallow synths grow louder. It’s a fantastic piece of artistry by a young band that will soon become Sweden’s latest sensation (like the band at the very end of this mini-playlist). The band is comprised of Shiva Kazemi (vocals), Andreas Gustafsson (guitar), Theo Brus (guitar), Alma Broman (vocals/bass), and Simon Hjort (drums). Seattle is stereotyped as the city of grunge and alternative rock, but there is so much more going on in the Emerald City. Around every corner, someone is playing the blues or sharing their latest mixtape or creating awesome choral pop (like Ephrata). Another name to add to the list is Shark Legs. 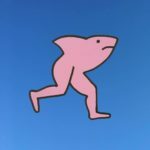 With their new single, “Severed Anne”, Shark Legs are essentially the West Coast’s version of Dr. Dog with the imagination of Ariel Pink. A funky groove percolates in the song with the trembling bass line, but there’s a creepy element to it as well. The lyrics accentuate the song’s eeriness, as the band describes a young woman who has gone missing and may have experienced something even worse. Let’s hope this new band does not suffer the same fate because they have something cool going on. Shark Legs are Ryan Bedard, Landon Cross, and Jacob Jones. We are running out of superlatives to describe Ebba and Michel’s project, Wy. For us, the Swedish duo could very well be the new Roxette, except their music is much more engrossing, spellbinding, and breathtaking. 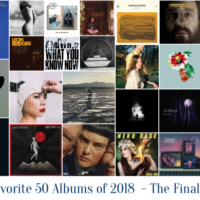 Everything they’ve released has been spectacular, making their debut album, Okay, a highly anticipated one in these parts. Just to remind us of their beautiful power, they’ve unveiled one more song, and it’s another gem. “Gone Wild” is the most stripped-back of the songs they’ve shared, but it might their most powerful. For most of the song, all one hears is Ebba’s vulnerable and heartbreaking voice. Concern, desperation, and despair drip from each word she sings, as she reveals her deepest worries and fears for us to hear. The opening lyrics are enough to make you shed a tear. “What if my dog died and I was in Tokyo? What if dad died before I turned 24? Okay will be released October 20th via HYBRIS (Sweden) and Better Call Rob (Germany). Circle the date on your calendar.